Commemoration of the 1719 Jacobite Rising and the Battle of Glenshiel. The Association of Highland Clans & Societies [AHCS], in collaboration with the Clan MacKenzie Society of Scotland and the UK and The 1745 Association, are organising events over the weekend of 7-9 June to commemorate the 1719 Jacobite Rising and the Battle of Glenshiel, which took place on the 10 June 1719 in Kintail. Clann 'ic 'illemhaoil Abrach (Clan MacMillan of Lochaber) fought in the battle, which the Jacobites lost, as part of Lochiel's regiment. MacMillans and their descendants are invited to attend the events in Inverness and Kintail in June. Details and a booking form can be downloaded from the AHCS website. Tours of Eilean Donan Castle will be part of the commemoration weekend. Clan historian and genealogist lectures in New Zealand and Australia. 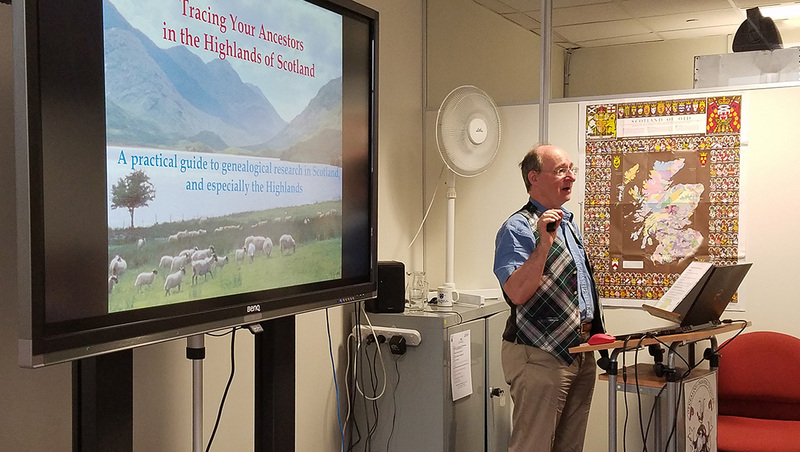 Clan MacMillan historian and genealogist Graeme Mackenzie and his partner Carol Morris recently returned from a six week tour in New Zealand and Australia where Graeme delivered 28 talks in 14 towns and cities covering the history of the Highlands of Scotland, the evolution of clans, and how to trace Scottish ancestors. Clan MacMillan historian/genealogist Graeme Mackenzie lecturing in Melbourne to Genealogical Society of Victoria. Auckland members of Clan MacMillan paused during lunch at the Naumai Hotel. 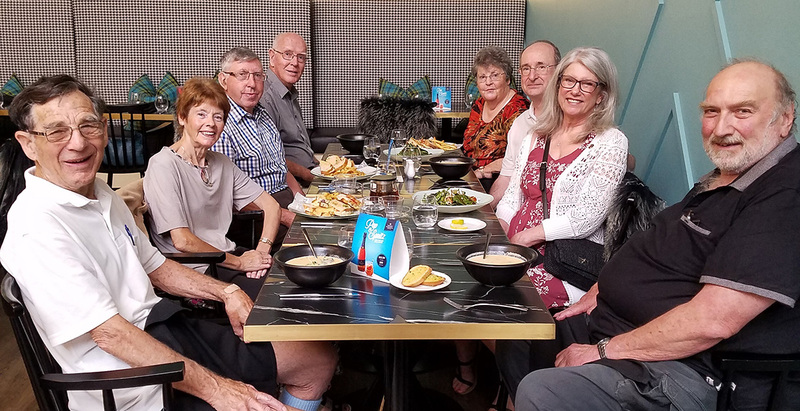 Clockwise from left front: Avon McMillan, Mary and Allan Bray, Peter and Margaret Pool, Graeme Mackenzie, Carol Morris and Fred McMillan. Updates to the Clan MacMillan International website. In case it isn't obvious, this website has been redesigned. This primarily relates to technical issues - updating it be "responsive", that is the pages are optimized to be more accessible and legible on mobile phones, tablets and a variety of computer monitor sizes. As we've monitored traffic to the site we found a steadily increasing proportion of visitors accessing it through hand-held devices. As many visitors are seeing it on mobile phones (mostly iPhones) as computers. Most content remains constant with notable exceptions. An Emigration page with a brief overview of Pre-Revolutionary immigration is available to the all. The Members' section has three additional pages addressing these Scottish migrations in more detail, one each for Highlanders, Lowlanders and Scots-Irish. Linking from these are two new or updated immigration graphics: one specific to Scots-Irish and Highland immigration to the American Colonies and the other illustrating Highland immigration to Canada. It is hoped that in the near future we will be able to add content addressing Scottish immigration to Canada, Australia and New Zealand. Above, MacMillan Hunting Modern tartan. See more about Clan MacMillan tartan. 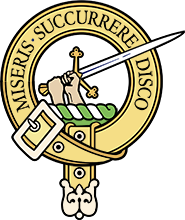 See a list of upcoming Clan MacMillan International and branch events on the Events page. McMillans/MacMillans & Whisky/Whiskey; Jacobite Risings from 1689 to 1719; Battle of Glenshiel Commemoration; The MacMillans and the last Jacobite Rising; Profile of Walmart CEO Doug McMillon; Community of the Tonsured Servant; Remembering Dr. Lamar McMillin and The CMSNA Gathering..
Join Clan MacMillan International and receive a magazine and a newsletter per year as well as access to past issues and the Members' section of this website.